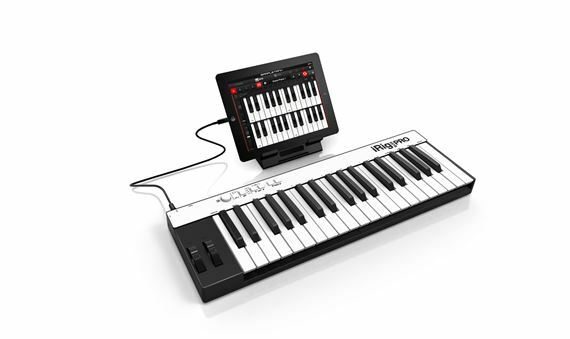 Shop IK Multimedia iRig Keys Pro 37 Key USB MIDI Keyboard Controller from AMS with 0% Interest Payment Plans and Free Shipping. Featuring full-sized keys, the iRig Keys Pro is a full featured, 3-octave MIDI keyboard controller for your iPhone, iPod touch, iPad or Mac/PC. Offering 37 full-sized, velocity-sensitive keys, the Keys Pro has the playability of a larger keyboard controller but in a more compact footprint. With standard Core MIDI support, you can play any compatible virtual instrument or recording app on your iOS device from Apple’s GarageBand to IK’s new SampleTank app. iRig Keys Pro has a dedicated pitch wheel and one assignable controller knobs that can be used for everything from volume to pan to modulation. 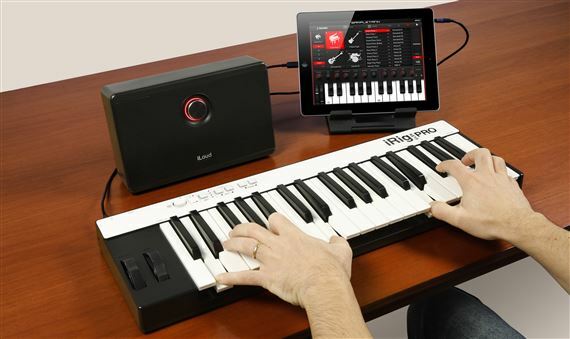 How compact is iRig Keys Pro? Compared with other small- format MIDI controllers with full-size keys, it's at least 2 inches less wide, and the smallest in depth - but still offers 3 full octaves! iRig Keys Pro also includes IK’s new SampleTank free virtual instrument app, the first professional iOS multi part sound module tailored for live usage and also iGrand Piano free for iPhone and iPad. Play world-class, hi-quality sampled instruments with integrated effects from the vast IK sound library right from your iPhone, iPod touch or iPad. 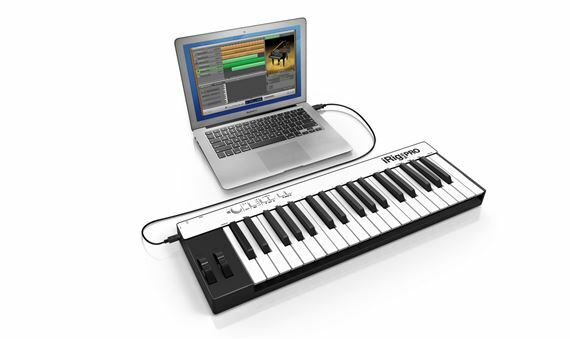 iRig Keys Pro and SampleTank are the perfect combination for the performer and composer on the move or in the studio. 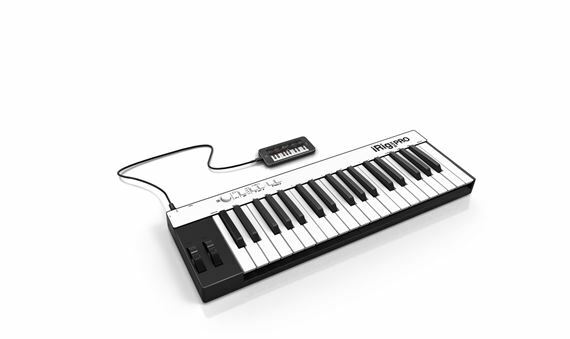 And when you are in the studio iRig Keys Pro can also work with your computer through its USB port for connecting and controlling to a multitude of software DAWs or virtual instruments, from GarageBand,Pro Tools to IK’s very own SampleTank 2L.